Mold is a common, pesky problem that often develops along floors, walls and across ceilings of homes. The micro-organism is a fungus that poses a real health hazard when left to proliferate in the home or business property. It can develop in areas of rising damp with constant exposure to moisture. Signs of mold in a building may indicate the presence of a leak. To thrive, mold requires moisture, food, and a suitable surface to grow on. Here at Sherwood Inspection Services, we have provided mold testing services to residents and business owners in Connecticut for decades. 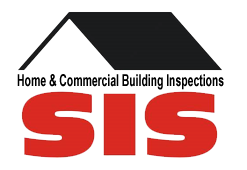 We cover a variety of properties including residential, commercial and industrial buildings. As far as residences, this includes everything from apartments to mobile homes to single & multi family homes. During our inspections, we thoroughly evaluate every inch of your home including specialty areas such as your attic, basement, and within tight crawlspaces to ensure our customers are 100% covered! For sellers and realtors, we complete indoor air quality testing that is required for real estate transactions. We are happy to provide a free, initial consultation for you to determine if you need a comprehensive mold test. Contact us for a free mold consultation today! There are 2 basic areas where mold can affect people in their day-to-day activity – Health and Dwelling. Pathogenic – can cause problems for people with decreased immune systems. Toxins – also none as mycotoxins, can cause serious health effects in almost anybody. Everyone is affected differently by mold. The seller of a home may have lived with mold issues for years without ever feeling any effects. A new buyer can then move in and one or all of the family members are immediately affected by the mold. Besides the health effects, mold can damage interior finishes and the structure of your home. Mold in dwellings is caused by moisture or water penetration left untreated. If there has been water damage, roof or plumbing leaks, or flooding, mold could be hiding and you don’t know about it. Undetected and/or untreated mold can eat through building materials and cause serious structural damage. Do you have mold or mildew in your bathroom, kitchen, or basement? There is a good bet that it isn’t mildew considering that mildew typically grows on living plants. You have to consider that it may be mold, and if it is, what can you do about it? Over the past few years since the media uproar on mold, the biggest problem with the presence of mold hasn’t been whether or not it is present. The primary issue is when people mishandle it and create a bigger problem by trying to clean it up with the wrong products and the inappropriate procedures. Here are a few best practices when dealing with mold so you don’t make the same costly mistakes. Do not clean with bleach: Bleach is a topical agent only and it contains approximately 70% water which we now know is a fuel for the growth of mold. The word “Topical” means that the bleach cannot get down to what you might call the roots of the fungus. So even if you have wiped the surface off with bleach you haven’t killed the plant so to speak. This is why mold people continually returns. Once mold has gotten into sheet rock it cannot be effectively cleaned. It must be cut out properly and discarded. When working with mold it should be treated as though you have an environmental hazard that can easily become airborne such as asbestos. In a real estate transaction, have the mold tested and overall conditions of your property evaluated by a qualified mold and moisture intrusion specialist. Then, have it cleaned by a qualified mold remediation contractor when needed. Then a final test to prove that cleanup was successful. This helps assure that it was done properly and prevent liability in the future. 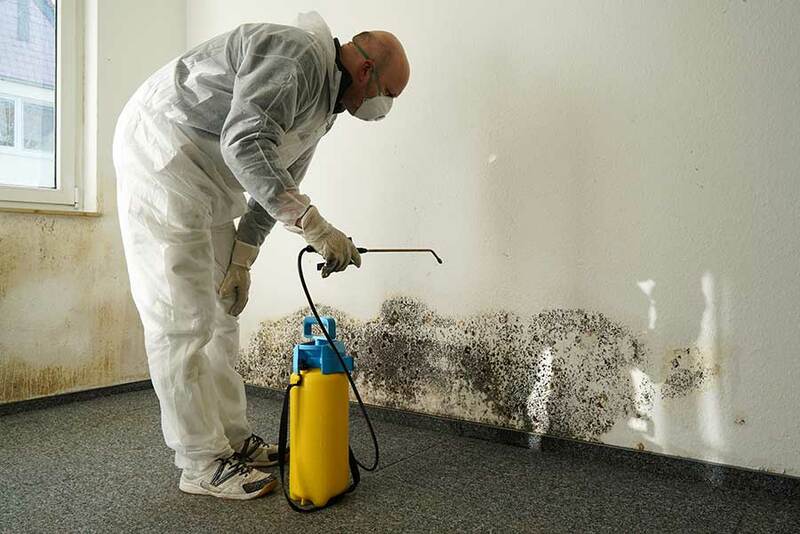 Purchasing a property with a serious mold issue can be an ongoing expense. It could also result in complete structural overhauls with the removal of walls, floors and structures where the fungus has migrated out of sight. With reliance on our Connecticut-based home inspectors, we offer comprehensive solutions to test for and detect mold and the risk of mold and mildew growth. Incorporating the latest technology and a highly trained eye, our inspectors will determine the presence of mold with ease and efficiency. Any findings of mold will be documented and recorded in our individual client reports. We provide every customer proof of the problem including the extent of damages and the potential cost for repairs. For peace of mind you are not purchasing a property with mold problems, we assist Connecticut residents with home inspectors that you can trust. We deliver on our promises and ensure that your requirements are met but more importantly, that your health and well-being are protected against future mold problems. If you have questions and are concerned about your situation, call us today at 860-646-9983 for your free initial consultation.